Best versus favourite skiing in Austria – my local hill opens tomorrow. 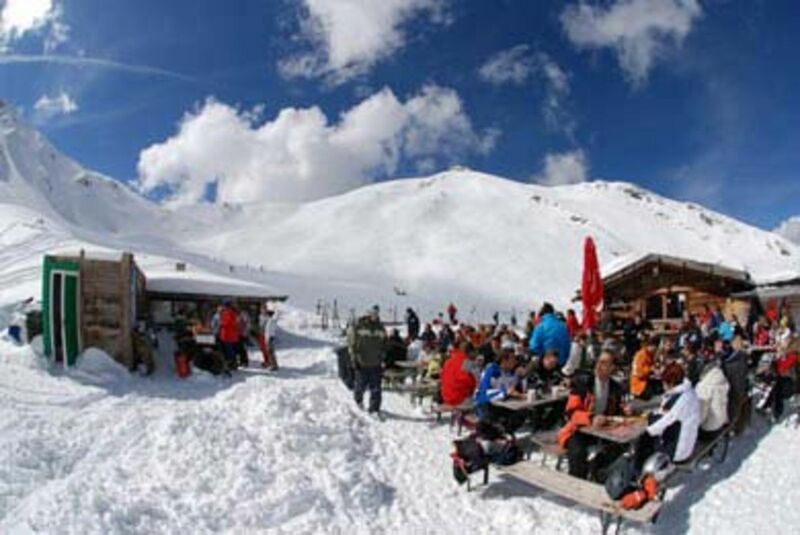 The case for suggesting Axamer Lizum, Innsbruck has the best skiing in Austria might be professional suicide – we pride ourselves in offering the very best information we (as a company) can give – to suggest Axamer Lizum ranks with the best skiing in Austria is fanciful. St Anton am Arlberg, Lech am Arlberg, Gerlos, Solden, Stuben am Arlberg, Zauchensee ….. the list might get pretty long before we could include Axamer Lizum. Length of pistes, number of lifts, après ski bars, kids facilities – all told Axamer Lizum doesn’t cut it compared to the big resorts. Yet it is where I have skied some of the very best conditions in Austria, a place where a 0.5l beer was the best I had tasted, where I have pulled up so many times and marvelled at a familiar view and when a mid-week car park is sparse even on huge powder days. Marketing is a powerful force. Axamer Lizum is too small attract the praise lavished on the big players and in many ways, rightly so. I spoke to a ‘leading figure’ in Stuben am Arlberg last winter (Stuben may well be the off-piste capital of the Alps) and we talked about the lift system – ‘faster lifts mean more skiers and snowboarders on and off-piste; that takes from the Stuben experience.’ The Stuben lift system is smaller and slower than much of the rest of the Arlberg – that is the beauty of the place. Fast, high capacity lifts are great but not everywhere. Stuben and Axamer Lizum offer unimaginably great winter days with resources that on paper don’t cut it. And for Axamer Lizum, you can substitute this for any resort, in any country – localism lives, knowledge is all and skiing or snowboarding thrives on familiarity, when imponderables beat lift capacities and running into an old friend mean everything.